Natalie has been a close friend of mine for a number of years and I had the pleasure of training beside her before she took her experiences to devoted herself to full time coaching. Natalie has an expansive bank of both knowledge and competition experience for all disciplines at a variety of skill levels and since I became one of Natalie’s athletes I have always had full confidence in her set sessions and the advice she has given me. Natalie started coaching me at a challenging time in my life for training where I had recently graduated from university and was starting a new full time job, developing my professional career as a Physiotherapist. I struggled both mentally and physically with time management and motivation to train whilst developing a full time career and a life balance. Natalie has been incredibly helpful and understanding and took the time to listen and adjust my training to fit my needs whilst also taking the time to be a friend and look after my mental well-being. Natalie has helped me break a lot of mental barriers and as a result, this year I finished in the top 10 position at the 2018 European Age-Groups championships which is my biggest triathlon achievement to date. Natalie is truly a fantastic coach and gifted person who approaches each athlete as an individual and treats them as she would like to be treated, she takes the time to develop a working relationship with them and that is why I think so many of her athletes have been successful. If you are prepared to put in the work, Natalie I can ensure you will deliver the resources and training structure you need to achieve any (realistic) goal you desire. After 7 years in the sport, I was prepared to call it a day, or at least have a break. But I was very fortunate to cross paths with Natalie and the task from day 1 was clear. I was fed up with making up the numbers and I wanted to be competitive on the local scene. 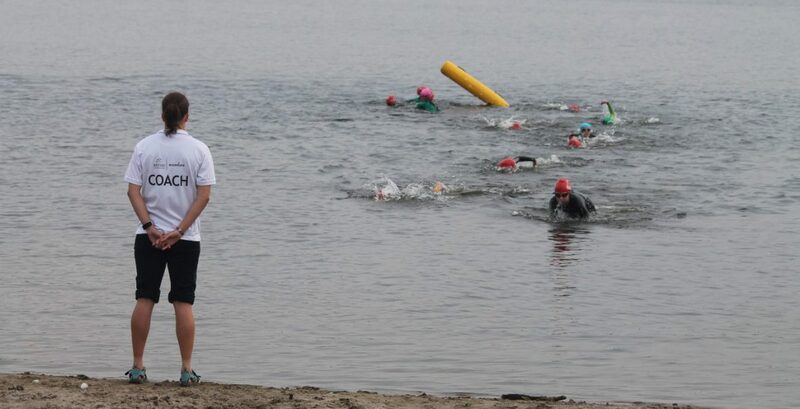 The task at hand was simple, and a issue many triathletes face, I just couldn’t swim fast enough. I was prepared to put the work and and boy did Natalie deliver. I’ll let my numbers speak for themselves. Over a 4 month period, I took my 400m TT Swim time down from 6:00 to 5:18 and my 750m swim time went from 11:10 to 10:25! Alongside that, my 5k run time came crashing down over a 6 month period from 19:45 to 18:00. 12 months under Natalie’s swimming sessions, my 400m TT now sits at 5:12, my 750m Triathlon race splits are now 10:00 and I averaged the infamous birthday swim set of 100x100s at 1:36/100m pace! It’s critical to surround yourself by positive people and those who want the best for you. Natalie is already an established coach and she’s not using athletes to promote herself or as a stepping stone to find more ‘elite’ athletes. She’s truly in it for the individual she is currently working with. The most pleasant benefit I found was Natalie to be equally as excited and interested in my races as I was! It always felt great to finish a race and already have a text message waiting asking for immediate feedback! This is great when you do well but even more critical when you have a bad day! Bad days are part of the process and the better and earlier we deal with negative performances, the stronger we become and faster we achieve the end goal! My confidence as a competitive athlete grew hugly under her yet she kept me realistic and patient at all times. Never rushing the process, and the biggest benefit of that is never getting injured, regardless of my rapid improvements. Natalie’s enthusiasm for coaching, her eye for detail, experience in the sport and her flawless communication makes her one of the best package deals you could ask for in the UK. As both a friend and a coach, I feel I’ve learnt so much from Natalie’s experience and expertise. My training plan gives me more time to focus on the training itself and get the most out of myself, with no need to worry about sessions. Nothing is ever too much hassle, and the training programmes are adapted dependent how my body is responding, and around work for the week. Come race days its an invaluable asset to have access to Natalie’s plethora of race experience; and her attention to detail is next to none. Ive regained my love for the sport through Natalie’s coaching and couldn’t recommend her more highly.